The Muppets have been around since 1955, and their creator and longtime driving force, Jim Henson, the puppeteer who brought them from TV’s Sesame Street to Hollywood and beyond, died in 1990. But Henson’s original idea that his Muppets offer “entertainment for everybody” is still very much alive and well. The troupe’s eighth movie is yet another family-friendly, something-for-everyone affair, a rollicking roundup of trademark put-on-a-show shtick, gonzo sketch comedy, toe-tapping musical numbers and a zany bombardment of guests. 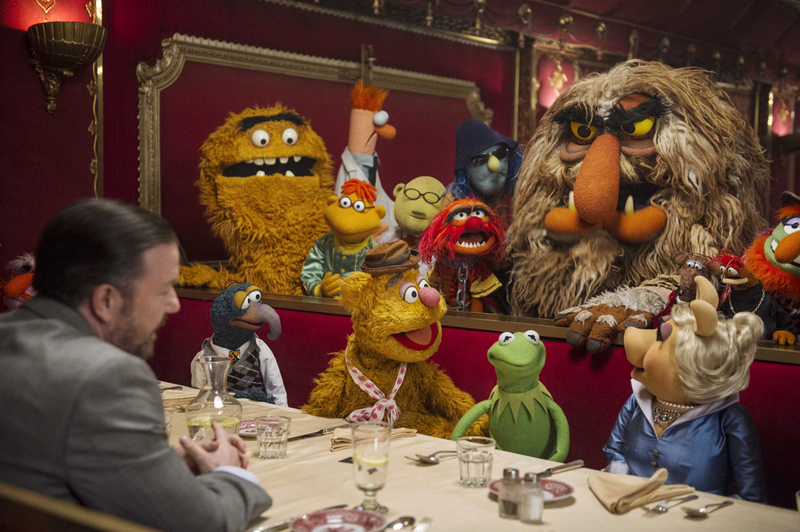 As always, the felt-and-foam antics of Kermit the Frog, Miss Piggy and the other familiar Muppet cast are bolstered by a parade of Hollywood pop-ins, which helps freshen up some of the vaudeville-style gags. Tina Fey plays a Siberian prison warden with a penchant for song-and-dance. The cameos come fast, and often last only for an instant—step out to the lobby even for a moment and you could easily miss Tony Bennett, Lady Gaga, Zach Galifianakis, Saorise Ronan, Salma Hayak, Ray Liotta, Stanley Tucci, Chloë Grace Morentz, Josh Grobin, Celine Dion or a number of others who all seem eager for even a small part of the fun and a moment in the Muppet sunshine. 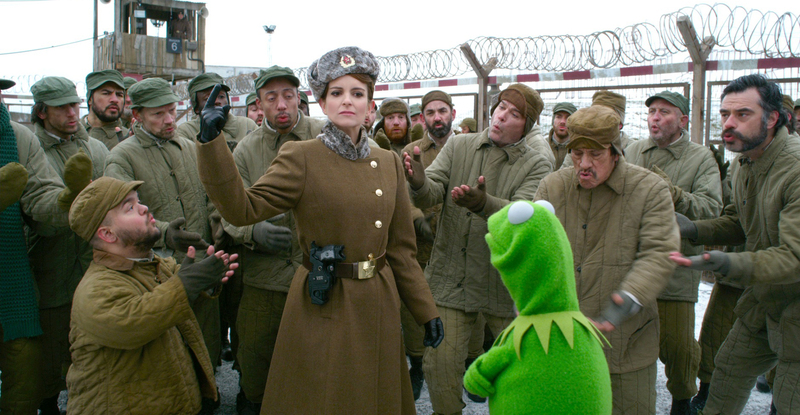 Ricky Gervais, Tina Fey, and Ty Burrell have more substantial roles in the story, which concerns a nefarious Kermit look-alike who infiltrates the ensemble, beginning a trans-European crime spree and sending everyone’s favorite show-biz amphibian away into shivery Siberian exile. Of course it sounds preposterous. But you do understand we’re talking about a bunch of talking, singing, dancing puppet animals…right?